We were very pleased to be selected to speak about One Night in Hell at the Europeana Creative Culture Jam in Vienna, back in July 2015, in celebration of their ground breaking project. Europeana Creative was a 30 month long project that gathered cultural heritage resources from all over Europe in order to make them accessible to the creative industry, allowing Europe’s rich, diverse cultural history to be reused. One Night in Hell was used as an example to show the magic of creating new, original material by reusing this vast cultural heritage. 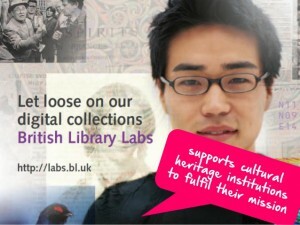 If you’d like to learn more about the project, visit: http://pro.europeana.eu.